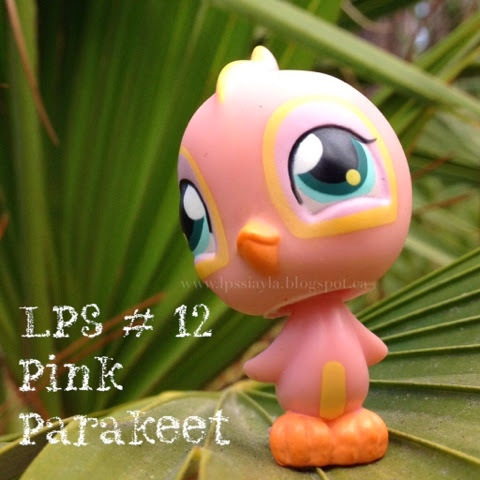 Out in the palms while visiting in Florida I spotted littlest pet shop #12. A cute little parakeet with feathers of pink. I love the detail in this little guys eyes.